We looked at the top 10 Paper Shredders and dug through the reviews from 126 of the most popular review sites including All The Stuff, Paper Shredder Zone, The Architect's Guide, Lifewire, TenBestProduct, V Best Product and more. The result is a ranking of the best Paper Shredders. Our experts reviewed the top 10 Paper Shredders and also dug through the reviews from 126 of the most popular review sites including All The Stuff, Paper Shredder Zone, The Architect's Guide, Lifewire, TenBestProduct, V Best Product and more. The result is a ranking of the best of the best Paper Shredders. With an 18-sheet capacity and the ability to hold up to 8.5 gallons of paper, the Royal 18-Sheet Shredder is well worth considering. Though pricier than other shredders, it can run for an astounding 40 minutes before needing to rest. It is on the heavier end, weighing 38 pounds, but wheels make it easy to move around. DWYM Home Experts plus BestReviews, Lifewire, Beasts Live, Digital10z, Paper Shredder Hub, Shredder Select and 1 more. Along with user reviews from Amazon, Home Depot and Walmart.
" Front loading feeder makes it easy to use under a desk." "It's 11.5" x 15.2" x 25.50" and weighs 44 pounds, but doesn't come castors for easy maneuvering around the home or office." Although limited in capacity, the AmazonBasics 8-Sheet shredder has a price that fits every budget — it's both the No. 1 recommended pick and the best value. 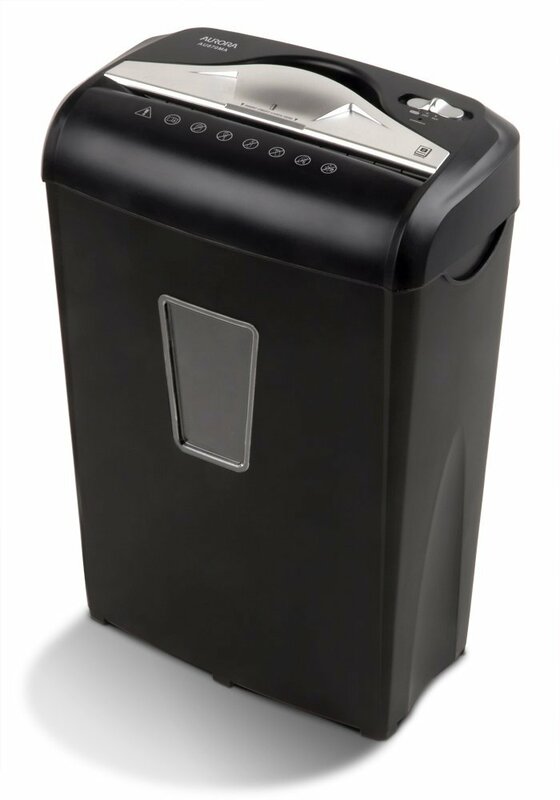 In addition to paper, it can shred credit cards, and its lightweight form factor makes it easy to maneuver around your home or office. Though prone to jams, the model features a manual mode that allows you to reverse pages back out when they get stuck. DWYM Home Experts plus BestReviews, New York Times Wirecutter, Engadget, Shredder Lab, Recycling.com, V Best Product and 2 more. Along with user reviews from Amazon.
" See-thru bin makes it easy to tell when it is full." "Difficult-to-reassemble bits while proving difficult to jam"
You'll get convenience with this shredder, which can handle up to 16 sheets at a time. It can also tear through credit cards, staples and paper clips just as easily as it handles paper. Its bin holds 6 gallons of paper, which allows for more shredding time before you have to empty it. DWYM Home Experts plus BestReviews, PC Magazine, Tech Gear Lab, Consumer Search, Lifewire, Beasts Live and 7 more. Along with user reviews from Amazon and Walmart.
" Packs a lot of convenient features in a small powerhouse model- 16 - sheet shredding capability." "Casters are hard to attach." The Sentinel 12-Sheet Shredder lets you feed 12 pages through at once, but it runs for only two minutes before needing a 30-minute cooldown. However, its low price makes it attractive to many consumers, especially since it micro-shreds paper smaller than other models in its class. The bin only holds 4 gallons of paper, so that's worth considering if disposing of shredded paper is inconvenient. DWYM Home Experts plus All The Stuff, The Architect’s Guide, Paper Shredder Zone. Along with user reviews from Amazon, Best Buy and Walmart.
" Its high-speed processing and 12-sheet capacity mean that it’ll tackle your basic shredding needs quickly and effortlessly." "It has short continuous runtimes." We identified the majority of the paper shredders available to purchase. 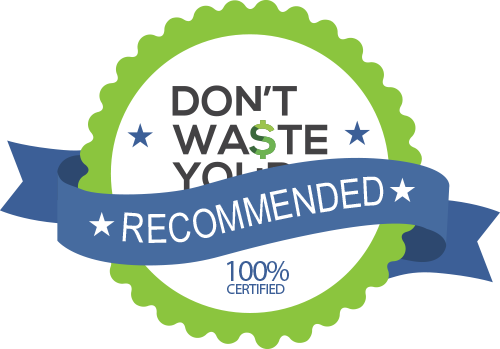 Reviews from our DWYM category experts and analysis of some of the most respected sources including: All The Stuff, Paper Shredder Zone, The Architect's Guide, Lifewire, TenBestProduct. We also incorporate user reviews from the leading retailers including Amazon, Walmart, Best Buy, Home Depot. Front loading feeder makes it easy to use under a desk. With an auto start/stop and reverse function, the 1840MX will shred a single sheet in just under five seconds. Front-loading feeder makes it easy to use under a desk. This product has a bin capacity of 8.5 gallons. It is a very large capacity bin which can store more than 600 sheets at a time. It also comes with an intelligent design as it is integrated with a roller that can effectively reduce the possibility of jamming. Royal 1840MX 18-Sheet Cross-Cut Paper shredder works with no noise and uses sensors for automatic start/stop and revers. Paper must be aligned precisely to fit narrow feeder. It's 11.5" x 15.2" x 25.50" and weighs 44 pounds, but doesn't come castors for easy maneuvering around the home or office. Clearing a jam can be challenging. You need to align the paper to feed it properly. It will jam the paper if you insert the papers at a large angle. It doesn’t jam like your average machine and doesn’t sound like a Boeing 747 landing on gravel. Paper slot is a bit narrow. See-thru bin makes it easy to tell when it is full. The reason we have made it our top pick was its unique combination of low price and exceptional capacity—you’d be hard-pressed to find anything else this capable at this price. Though it's only rated to handle up to eight sheets of paper at once, we were able to successfully feed a stack of 10 sheets of standard letter-size printer paper at one time. This model of cross-cut paper shredder is able to shred pieces diagonally and into small pieces typical of its type. This gives me the security and peace of mind whenever I use the device in shredding my ATM receipts, financial bills, and other personal documents with sensitive info. It does one thing great and that is shredding your documents in unreadable particles. A reliable credit card destroyer. It has an automatic turn on the feature and also has manual reverse to clear the paper jams. Jamming with more than 5 paper. If you're using this machine, be sure not to push it past its suggested capacity limit while also running it for minutes at a time. This shredder can’t shred CDs, it only runs for 3 minutes continuously and it doesn’t come with all kinds of nifty featues and sensors. It only runs for 3 minutes. After that, it needs 20 minutes to cool down till it restarts. About one in 15 consumers fell victim to identity fraud in 2017, with a new victim every two seconds. With details like your Social Security number, bank account numbers, date of birth and contact information, a criminal can take out a loan in your name. Using only your credit card number, fraudsters can start spending, especially if they have the card verification value (CVV) number on the back. Data theft poses such a big problem, many consumers have realized the importance of securing their information. This extends to the paper documents they toss in the garbage, which can easily end up in the wrong hands somewhere between the house and the landfill or recycling center. Ripping up every sheet of paper can be time-consuming, especially if you deal with a significant amount of paperwork on a monthly basis. There are several things to consider when you’re looking around for shredders, though. Perhaps the most important is capacity. Some shredders can handle large stacks of paper, while others make you feed only one or two sheets at a time. If you plan to shred items like credit cards, you’ll need to seek out a shredder with that capability. One of the biggest issues with paper shredders is jamming. Unfortunately, most shredders will eventually jam, especially if you exceed their capacity or they overheat. It’s important to find a shredder that can help you easily recover from those jams. Another issue specific to all shredders is that they have a limited runtime, after which you’ll need to wait while they cool down before you can insert another document. This can understandably be inconvenient, so make sure you’re aware of the limits of whatever shredder you choose. It may not seem a top priority at first, but shredders come in various sizes. If you plan to slide your shredder under your desk or set it on a table, measure in advance to determine the maximum space you’ll need. Some shredders also include wheels, making them easy to maneuver around as necessary. You may not realize it, but paper shredders have been around since 1906, when a Brooklyn entrepreneur came up with the idea and later patented it. However, the first shredder wasn’t manufactured until 1935. That was when a German man wanted a way to safely dispose of the anti-Nazi propaganda he was creating. His version of the shredder was based on the design of a pasta maker. He began selling his shredder soon after, with government agencies and financial institutions eventually buying them. The need to revolutionize shredding beyond thin strips of paper came from a 1979 raid of the American Embassy. The Iranian revolutionaries were able to put together the shredded documents and decipher what was on them. If you’ve ever shredded a stack of paper, you likely know the tedium that can come from the task. The more pages you can slip through the feeder at once, the quicker you can move on to other tasks. The Royal 18-Sheet Shredder promises to shred as many as 18 sheets in one pass. It also can shred one sheet of paper in less than five seconds. The Fellowes Powershred 79Ci comes close at 16 sheets, while the Sentinel 12-Sheet Shredder can handle 12 at once. The AmazonBasics 8-Sheet Shredder can only handle eight, although you may be able to squeeze in up to 10. Paper isn’t the only thing shredders can tackle. The AmazonBasics 8-Sheet Shredder and Fellowes Powershred 79Ci can shred credit cards, as well. You don’t even have to remove your staples or paper clips with the Fellowes Powershred 79Ci, which can shred these supplies along with the paper connected to them. Traditionally, shredders cut paper into long strips, which was great, but not nearly as secure as today’s cross-cut shredders, which slice paper both horizontally and vertically. The AmazonBasics 8-Sheet Shredder cuts paper into 3/16″ x 1-27/32″ strips, while the Fellowes Powershred 79Ci creates 5/32″ x 1-1/2″ pieces. The smallest shredding capacity, though, comes from the Sentinel 12-Sheet Shredder, which is highly rated for its security, producing microshreds sized only 4mm x 15mm. Capacity isn’t just about the number of pages your feeder can handle. The size of the waste bin also matters. The larger the bin, the less frequently you’ll need to stop to empty it. The Royal 18-Sheet Shredder has an 8.5-gallon bin, making it the largest, while the Fellowes Powershred 79Ci still impresses with a bin that holds 6 gallons of paper. The AmazonBasics 8-Sheet Shredder and Sentinel 12-Sheet Shredder are on the smaller end, with bins that only hold around 4 gallons. If you plan to slide your shredder under a desk, the Royal 18-Sheet Shredder has the edge, thanks to a front-loading feeder that will let you use it without sliding it out. If you do need to maneuver your shredder around, consider the sheer weight the bin has before you have even put the first sheet in. The AmazonBasics 8-Sheet Shredder is by far the lightest, at only 9.74 pounds. This is followed by the Sentinel 12-Sheet Shredder, which weighs only 16.3 pounds. Both the Fellowes Powershred 79Ci and the Royal 18-Sheet Shredder are pretty heavy, at 28.2 pounds and 38 pounds respectively. However, it’s important to note that all of the shredders but the AmazonBasics one have wheels, so their weight likely won’t be an issue as long as you keep it in the same general area. Ideally, your shredder will rarely jam. If it does happen, though, it will help to have an easy way to get the pages out. The AmazonBasics 8-Sheet Shredder and Fellowes Powershred 79Ci each build in reverse features so that you can back your pages back out in the event of a jam. However, the Fellowes Powershred 79Ci and Royal 18-Sheet Shredder are designed to prevent jams. Every shredder only has a short runtime before it needs to cool down. With the Fellowes Powershred 79Ci, you can shred for 20 minutes before allowing it to rest for 30 minutes. The Royal 18-Sheet Shredder extends that to 40 minutes. The AmazonBasics 8-Sheet Shredder and Sentinel 12-Sheet Shredder are considerably shorter, though. Amazon’s shredder runs for three minutes before cooling off for 20 minutes, and the Sentinel 12-Sheet Shredder is two minutes on, 30 minutes off. Since shredders can vary dramatically in price, the cost may heavily influence your decision. On the low end is the AmazonBasics 8-Sheet Shredder, which retails for less than $50, and the Sentinel 12-Sheet Shredder, which sells for between $50 and $100. The Fellowes Powershred 79Ci and Royal 18-Sheet Shredder sell for between $100 and $200. For the Paper Shredder category, we analyzed 126 of the most popular reviews including reviews from All The Stuff, Paper Shredder Zone, The Architect's Guide, Lifewire, TenBestProduct, V Best Product and more. The result is a ranking of the best Paper Shredders.